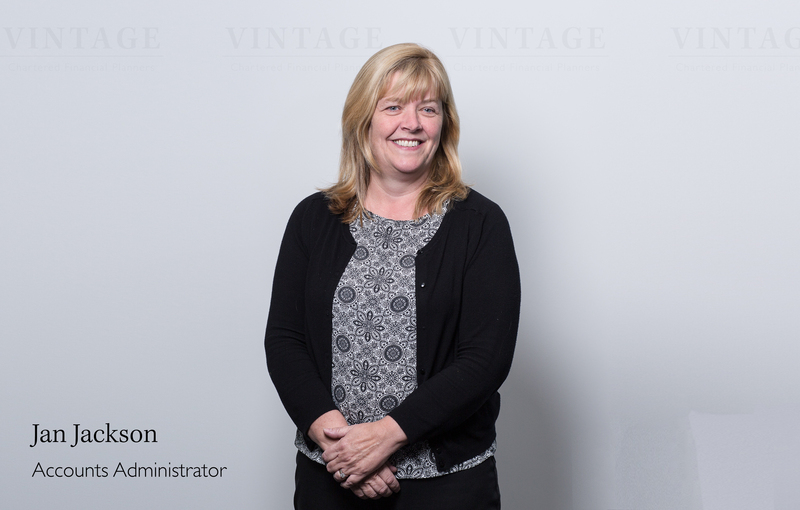 Jan is the longest-serving member of our team, starting her time at Vintage as Personal Assistant to Partner Adrian Tate back in 1988. She now manages our accounts and invoices, ensuring that our books are balanced and that the firm runs like clockwork. She is a strong advocate for best practice and the highest standards, ensuring that her work is always thorough and accurate. She is the ambassador of our traditional values and exceptionally high customer service, ensuring that each of our clients receives the care and support they’ve come to expect from the Vintage brand. To meet with Jan, either call us on 01642 525050 or email support@vintage-fp.com.